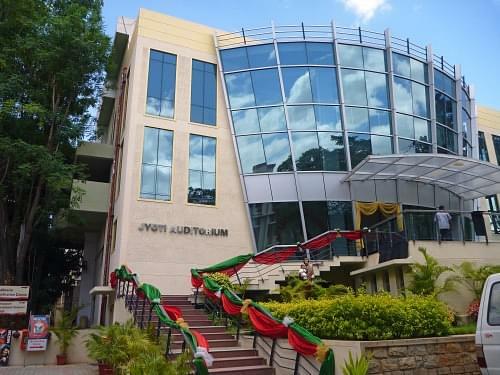 Now the college is upgraded with CCTV cameras,Website for attendance which can be accessed through parents,Students and management so that they can be kept in traxmck for better studies. The College Management is good. They are very supportive and friendly. All the non teaching staffs are also good. The college life here is the more interesting. Here, you will find a better you when you leave out of this college. The various non academic opportunities will help you shape a better life. "jnc"it's an emotion, I was lucky to be der it was heaven. The best part of jnc is dat u can explore yourself as an individual n try various things out here..which increases Ur confidence. The college over all is good. There are really good eateries and other facilities in and around the college. Jyoti Nivas College was established in the year 1966 under the aegis of St. Joseph of Tarbes. It is a minority Christian College which provides moral and spiritual values to its students and produce intellectually enlightened and socially committed young persons. The college is affiliated to Bangalore University and approved by NAAC and UGC. Scholarships- The college has a provision of providing scholarships to financial aid to economically under-privileged student. The scholarships received during the last seven years are SC/ST Scholarships, Defence Scholarships, ICCR Scholarships, Physically Handicapped Scholarship, Nagaland Scholarship etc. International Collaboration- International Student Support Services helps the students to gain practical and industrial experience to students. Hi Saiprasad, You may please check the official website to know about the merit list of the college. want to know about MA english and Mba admission procedure. Is there any entrance test to get into this college or direct admission? KMAT 2017 is divided into 3 parts- Verbal Ability and Reading Comprehension, Quantitative Ability and Logical Reasoning. KMAT syllabus is usually of 10+2 or equivalent level. Students will have to answer questions about topics covered till the higher secondary classes. How to Prepare for KMAT Exam? KMAT (Karnataka Management Aptitude Test) is a standardized all India level management entrance test which is conducted by KPPGCA (Karnataka Private Post Graduate Colleges Association). This exam intents to select candidates for admission into professional courses such as MBA, PGDM, and MCA. "Best of best experience that changed my life"
PUC with 91% helped in easy admission. One of the best known college's for BCA and it was a small interview with immediate admission open. I took no examinations. I studied here from my pre-university and it is one of the oldest and the best women college in Bangalore. 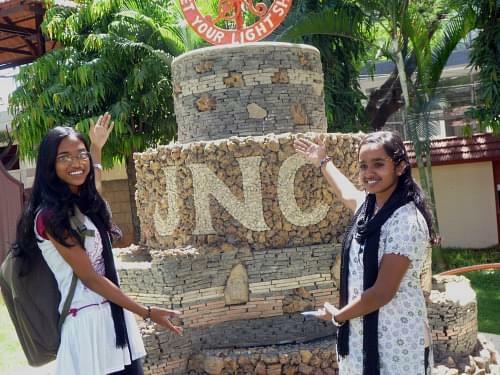 I passed out 10th with 75% and choose JNC for PUC and BCOM as JNC is one of the best Women College in Bangalore.